Number of Sleeping Rooms/Suites: 129 Number of Meeting Rooms: 3 Total Meeting Space: 1,456 sq. ft. 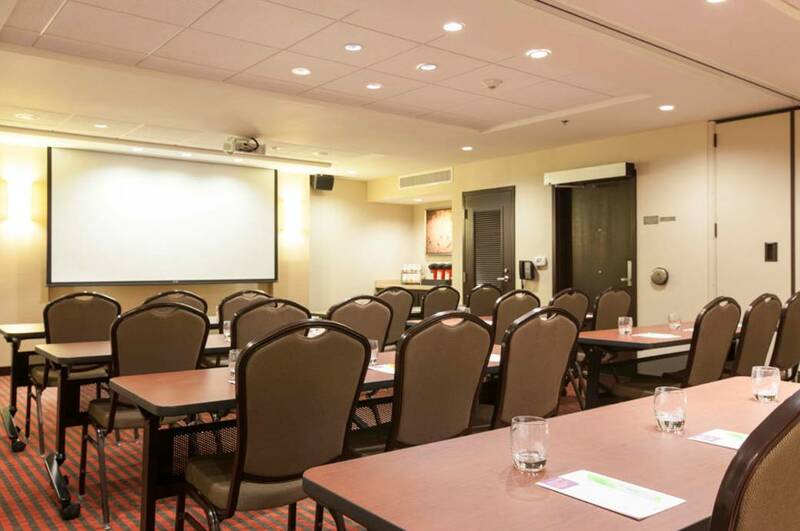 Type of	Banquet Meeting Venue: Classroom Distance to PHX Sky Harbor: 17 miles Distance to Phoenix Mesa Gateway Airport: 16 miles Number of Sleeping Rooms/Suites: 129 • Number of Meeting Rooms: 3 • Total Meeting Space: 1456 sq. ft. • Type of Banquet Meeting Venue: Classroom, Theater, Banquet • Distance to PHX Sky Harbor: 17 miles • Distance to Phoenix Mesa Gateway Airport: 16 miles • Hyatt Place Phoenix/Chandler Fashion Center offers flexible event space with a modern look. Meeting Space 1 & 2 is 988 sq ft and can be divided in two with an air wall. This space has natural light and built in A/V. The Sun-Room is a 468 sq ft room with floor to ceiling windows and is great for breakouts, showers, and social events. We offer catering from our Gallery Menu and the hotel is just steps away from the Chandler Fashion Center Mall with 20+ restaurants. Description Hyatt Place offers flexible Event Space designed to maximize the room’s functionality with an elegant interior. The Space has both interior and exterior entrances, working windows, and in room climate control. The space may be divided by a sound proof air wall, and each area is equipped with dry bars and fixed A/V equipment (provided at no additional fee). We offer catering at reasonable pricing and allow outside catering with no surcharge. The hotel is only steps from the Chandler Fashion Center Mall with hundreds of shops and 40+ restaurants and pubs.